A great way to increase the number of people finding your business' website is to choose a web address that is the same as what people type into Google to...	Read more..
Pharmacy Chooses Modern Print & Design To be Their Pembrokeshire Website Designers! Well known Pembroke Chemists, Mendus Pharmacy, have chosen Modern Print & Design to create their new website. This website will have a modern, uncluttered looks to it to make it as...	Read more.. Spent the afternoon discussing the proposed new website for a new Cherry Picker hire company based in Tenby, Pembrokeshire. This new site site will feature a combined blog and gallery page...	Read more.. 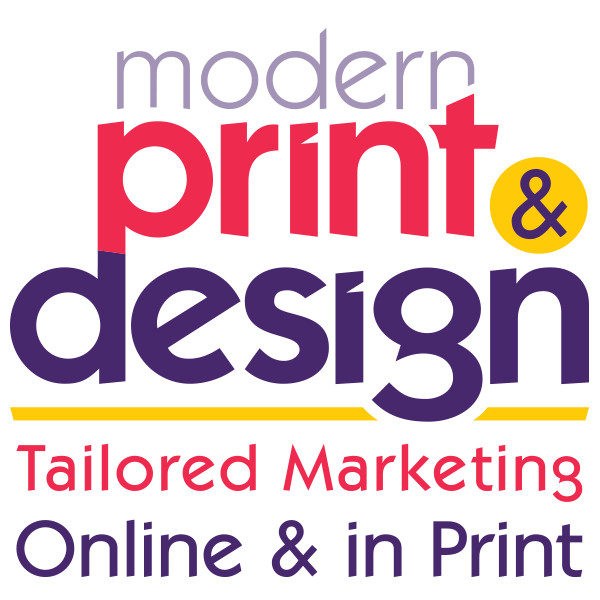 The new Modern Print & Design Website has just been launched at www.websitedesignerspembrokeshire.co.uk This site focuses on all the website design services that you can get from our expert team. Services...	Read more..
Pembrokeshire's Merit Software have just received delivery of their new curved pop up exhibition banner from Modern Print & Design. The banner was wanted for a major exhibition they were attending to...	Read more..
Pembrokeshire's Spahaus have asked Modern Print & Design to program and design their new Ecommerce website. This Pembrokeshire website will be used to sell purpose made wood cladding to builders, architects,...	Read more.. Here are some of the top tips to help you improve your website in 2016. Refresh your content – Google loves seeing fresh quality content and you need to refresh your...	Read more..
It’s Modern Print & Designs Website Designers For Pembrokeshire Falconry! Pembrokeshire Falconry have chosen Modern Print & Designs website designers to create their new site. One of the reasons for this is that they were impressed with the work there...	Read more..
Chris and the boys are off to a flying start with Pembrokeshire website orders this year. The team expects to have two new websites launched in the next few weeks...	Read more..
Corban Care is a domiciliary care (care in the home) company based in Pembrokeshire, Cardiganshire and Carmarthenshire, making them one of the largest care firms in the area. The reason they...	Read more..
Merry Christmas everyone!The boys will be closing the studio on Friday 18th December and then reopening on Monday 4th January 2016. So please get any orders into the studio ASAP...	Read more.. This is perfect for making your menus last longer and therefore save you money without the heavy handed look of conventional lamination with its ugly plastic lip. Your menus will have...	Read more..
Small Business Saturday – 5th December 2015. Small Business Saturday is a "grassroots, non-commercial campaign, to get more people to ‘shop local’ and support small businesses in their aria." This year's it will take place on Saturday,...	Read more.. Personally Printed Christmas Cards In Pembrokeshire, West Wales. Please call Modern Print & Design today for your Christmas card brochure. You can choose from a very large range of designs that can be personalised for you, or even...	Read more..
Give your customers a gift that will last for years and get your name and telephone numbers on their desk. This way your mug with your telephone number on it...	Read more..
Pavement Signs In Pembrokeshire are a brilliant way of publicising your business. Pavement signs in Pembrokeshire are a brilliant way of publicising your business and getting new customers. The pavement sign you can here was designed for a business that had a partially...	Read more..
Free Web Marketing Tip – Embrace Social Media To Boost Your Pembrokeshire Business! Your social media profiles should function as an extension of your website. Maintain active Google+ (http://plus.google.com) , Facebook (http://www.facebook.com) and Twitter (http://www.twitter.com) accounts that don’t only promote your business, but...	Read more.. Here is an email full of praise for the leaflet design we had done for a new customer - "Good evening Leo, This looks excellent! I will get back to you with...	Read more..